What you up to for Memorial Day weekend? I'm off to venture across the pond. LONDON here I come! I hope the weather treats me well because man do I have an ever growing list to hit. Mega case of FOMO. Seen this before? This is just one of the many things that wasn't on the original plan! 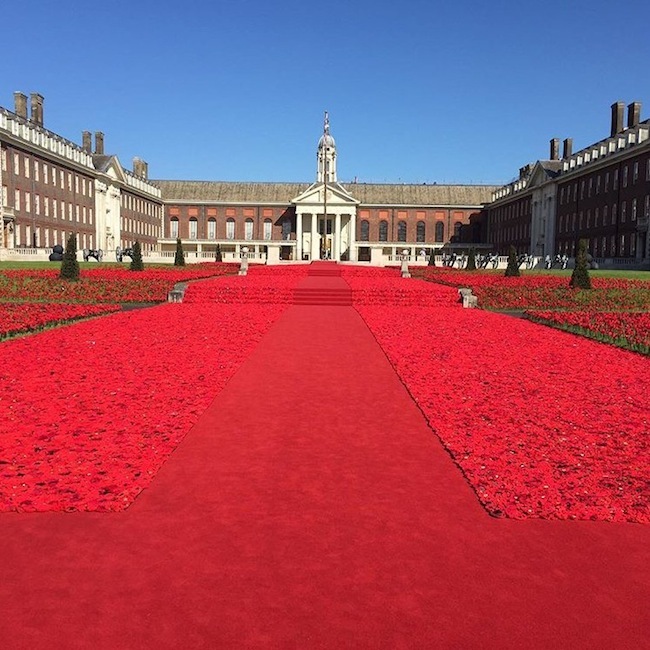 It's a field of 300,000 crochet poppies at The Chelsea Flower Show. It's a tribute to those who have served in the war. It's held annually, and this year I have perfect timing because it's only on for this weekend. WOO HOO. Lucky me! Fill you in when I return on Tuesday. Happy Memorial Day weekend y'all!